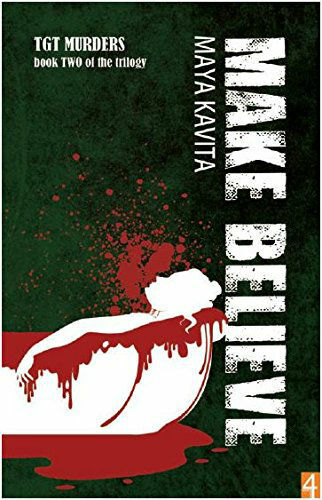 We have finished reading Make Believe – The second book in the TGT murders Trilogy by Maya Kavita and here are our personal views and reviews for the same. To be frank, it is always easier to analyse the work done rather than doing it. Writing a book is a very tough job, and finding some loose ends there is quite easier. However when we analyse the things the basic idea behind the thing is to view it from a third person’s perspective. Such genuine assessments helps other like minded people to decide whether it is worth to go for a specific media. The cover page reminds you of the first book in the series – Outsourced. It is simple yet attractive. The book of course carries forward the story from the point it was left in the previous book. Don’t worry if you haven’t read the book Outsourced in case. This book is complete in its own in a way. And from the first chapter itself you will be able to enjoy it even without reading the previous instalment. The book have some comparatively dull moments around the middle, but it is in momentum or otherwise. The last two chapters of the book will give you feelings of Deja Vu if you are a James Bond (books and movies) fan. 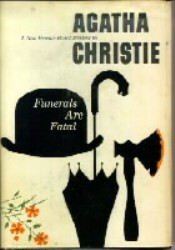 For crime thrillers most important aspects are the plot, the exploration of characters and the event description. Here is the bird’s eye view to the plot. One day, the meek will inherit the earth. It’s a prediction that’s hard to understand, and even harder to accept because it contradicts the way the world seems to work. Ella is no more working at Trans Geo Technology (or TGT as it is famous). She is missing it and at the same time she happy to be the survivor of the set of disastrous events (took place in the previous book). She enjoyed being work-less for some time and then she found an interesting offer to move on. So she is back in the business of HR (Human Resource Management). Envy me. My life is better than yours. In such relations, it is rare to find true feelings and mostly money and material happiness are the binding factors. The lady he was linked with gets murdered! And they believed that in the world of “us versus them”, the “us” were always right, and the “them” were the ones who made more money. Ella was called to TGT to do a small task. The company have arranged a meeting with those six suspects in a cabin with one way glass window. Ella need to observe their behaviour and find the leader of them. There are cameras and microphone implanted in that meeting room, so she can observe the things closely. However It was clear in Ella’s mind about what she need to do. The contract’s fine print had made it clear that she was to find nothing wrong with TGT’s managers, and to single out the troublemakers and ringleaders among the employees so the company could take “appropriate action”. After the meeting is over and Ella was feeling that her task is almost over. She got a news that Tapan Rao is possibly kidnapped! For thrillers, the real fun of reading lies in exploring the events as they come, and when they are unexpected, its more fun. So, we are not telling more about the plot from this point forward as it will lead to a lot of spoilers otherwise. Maya Kavita herself have spent years in IT industry and during it she witnessed the business of Outsourcing and its aspects from very near. And in fact she experienced some of the stuffs (good and bad both) during her long careers. So she knows the technical and management stuff in such business like an authority. And, this proves to be helpful to her in writing this book. Even the psychological aspects she explore are fantastic to read. This book is definitely more gripping than its predecessor – Outsourced. This book doesn’t waste time in building the repo and setting up the events. The thrills start from the beginning of the book itself. Bettina had stipulated that TGT couldn’t afford to fire all six, and that Post-E had better identify the leader of the group so the company could deal with him or her, and then the hangers-on could get back to work. They were all top-performing employees and the compliant ones needed to be identified so they could be “brought back into line asap”. As you know, anything submitted on a computer system can be traced back to the originator. People in the IT business ought to remember that. There’s no magic here. Confidentiality was often confused with anonymity, thought Ella. Employees often assumed the second when they were promised the first. It was HR’s sin of omission that they failed to explain the difference. Dead is the right word to describe how I feel. “I give up. I’m out of ideas,” she said wearily. If time is money, then time spent on business travel is money plus aggravation. Besides, everyone knew that waiting in queues at the airport didn’t make you look important anymore. There’s nothing that I cannot do, to do what must be done. There’s nowhere that I cannot go, to see the battle won. There’s no one that I cannot fight, no man that’s ever been, No country, ruler, power on earth, No storm, no canyon, mountain top, No spirit, master, king or lord, No game I cannot win. Ella had memorized the poem Jim Kenyon had written many years before. to see the battle won. No game I cannot win. Ella had memorized the poem Jim Kenyon had written many years before. with sub stantiating documentation, so that the appropriate person could review it. So I guess that it’s an employee, or an exemployee. Each day was the same. She ran tests and produced reports. Her team leader told her that she was doing maintenance on TGT’s products and she agreed because she spent her days cleaning up other peoples’ mistakes. been there on vacation a few years before and he’d be be lievable when he returned to office and talked about the place. Our manager makes a fool of himself in front of ourcus tomers. With that, some internal content breaks (for example scene changes) could have visible separator. And yes, it would always be better to include Glossary for some industry specific terms. Also, these days, it is almost compulsory to have book teaser / trailer available on YouTube and/or having a dedicated website or at least FaceBook page. Maya however relies on her book content only. Being in IT field, she could have used the digital media better to promote this good work. It is a delight for thriller lovers. The book have more ups then downs. You should definitely love to go for the same.